Usain Bolt believes his performance at the IAAF Diamond League meeting in London this weekend will be a crucial indicator of his readiness to defend his World Championships sprint titles in Beijing next month. Bolt returns to the scene of his triple Olympic sprint triumph at the London 2012 Games when he races over 100m in the Olympic Stadium on Friday (24), his first race since winning the New York 200m on 13 June, and his first 100m since running 10.12 in Rio de Janeiro on 19 April. 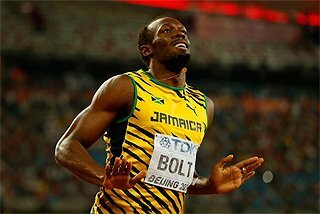 Bolt has yet to break 10 seconds for the 100m this year, or go sub-20 for the 200m, and he withdrew from recent IAAF Diamond League meetings in Paris and Lausanne with a pelvic injury, fuelling speculation that his dominance of world sprinting may be about to end. But the 28-year-old said today that if he can get it right in London, he will know he’s on the right track to add to his 14 global titles when he returns to the Bird’s Nest stadium in August. “I won’t really know how ready I am till tomorrow, but I’ve been training really hard and working on what I need to work on,” said Bolt. “Now we’ll see what happens. “Tomorrow will give me momentum and focus going into the championships. It’s all about executing my race. I’m trying to get that right, and if I do I will be in good shape. “I’ve been doing a lot of work on my start. 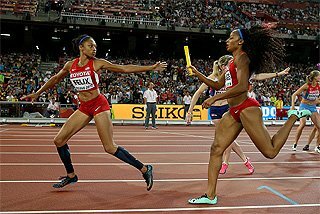 The first 40 metres of the 100m is most important because that is the weakest part for me. But if I get that right, I know there will be no issues because the last 60 metres is when I’m always really strong. Bolt admitted to being both “excited and a little nervous” about returning to the stadium where he first stunned the world by winning three Olympic golds back in 2008, but insisted he has not lost his proven ability to be ready for the big championships – not just in the 100m, but the 200m as well. 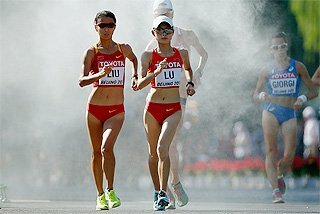 “I set the standard in Beijing, so I have to live up to the expectations,” he said. “If I’m not in the best of shape, I will be nervous. But my coach isn’t worried so I’m not worried. He’s confident, so I’m confident. All I can do is work. Asked about the threat from Justin Gatlin, this year’s world leader at both events, who’s gone 23 races unbeaten and dipped below 9.80 on four occasions, Bolt said: “It just takes one race to get to 9.7 so for me that doesn’t matter. I’m not worried about times. Five other reigning Olympic champions also faced the media today, all of them hoping a return to the Olympic Stadium will inspire them towards their gold medal-winning form of three years ago. David Rudisha’s world record-breaking 800m made him one of the stars of those Games, rivalled only on the track by Bolt. 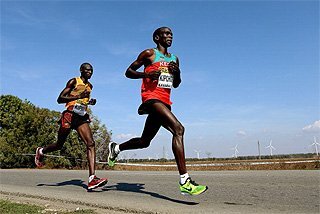 But the front-running Kenyan has been struggling to hit those heights ever since following a knee injury in 2013. 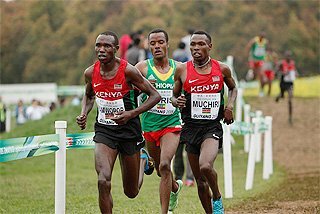 At the Lausanne IAAF Diamond League meeting two weeks ago he was outkicked by Nijel Amos, the Olympic silver medallist, and the Botswanan will be his main rival at the Sainsbury’s Anniversary Games. But Rudisha says he’s been making “good improvements” this year, and believes the London stadium will inspire him to improve on his season’s best of 1:43.58. “I’m happy to be back on the track where I did very well in 2012,” he said. 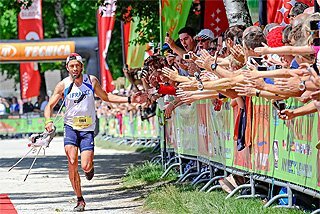 “Since then I’ve not been back to my best form, but I’m looking forward to a good race. “It’s difficult to say when I will return to my form from 2012 because of the problems I’ve had. I’ve been trying for the last two years. 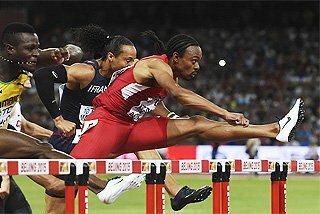 Sprint hurdler Aries Merritt also enjoyed his best moments on the London track – which will be used for the last time this weekend before it’s replaced for the 2017 IAAF World Championships. 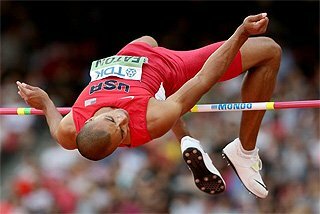 Merritt not only won Olympic gold in 2012, but dipped below 13 seconds 10 times, breaking the world record into the bargain. Like Rudisha, he’s struggled to rediscover that form since and hasn’t run sub-13 since breaking the world record with 12.80 at the end of 2013, but that’s something he hopes to put right on Friday night. Merritt blames his indifferent form partly on having to learn a new stride pattern to keep up with the trend for taking seven up to the first barrier. Sanya Richards-Ross also admitted she has been on “a tough learning curve” this season. 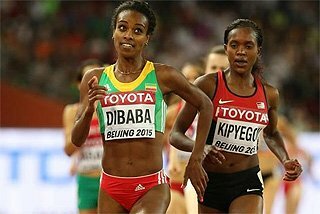 The Olympic 400m champion will race over 200m on Saturday. 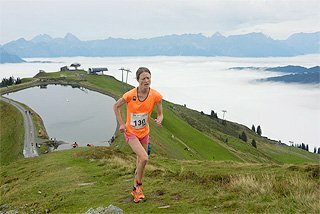 “You’d think after 15 years as a professional athlete I would have got it right by now, but I had to change my training this year and I think I over-trained,” she said. “I’m making some adjustments. Renaud Lavillenie is also glad to be back in London where he not only won Olympic gold, but leapt over six metres at the Anniversary Games two years ago, an achievement he is confident of repeating tomorrow after winning the Monaco IAAF Diamond League meeting with 5.92m a week ago. 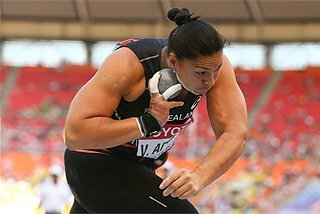 Valerie Adams continues her “long and rocky road” back from last year’s operations in the stadium where she won shot put gold in 2012. Now the New Zealander is looking for “competition fitness” as she rebuilds towards the Rio Olympics next year. “It’s good to be back. 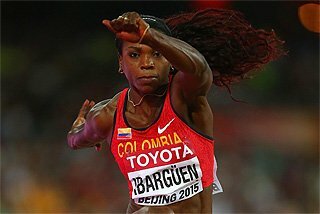 I love competing here,” she said. “It was always a risk coming back from surgery, but I want to make sure I’m in the best shape for next year, which is most important for me. “The World Championships is important but I’ve won that four times, so Rio is the bigger goal. I’m making ends meet for now, but Rio is the main target.